Birthdays are better at Wheels skating center. When you book a roller-skating party, we do everything we can to make sure you have the time of your life. That means taking care of setup and cleanup, providing a dedicated Party Hostess to dish up pizza and drinks, and keeping the good times rolling all afternoon (and beyond—we give the guests free skate passes for next time). We do a lot to make sure your child has the best birthday party ever. 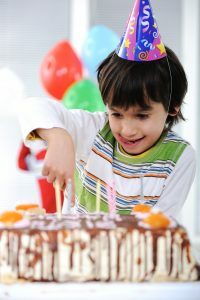 Here’s how you can make planning a kid’s birthday party a piece of cake! Pick your package. Wheels offers birthday party options for every size party (and budget). Do you want to surprise your child with a balloon bouquet, glow gear, and other fun freebies? Upgrade to the MOST Fun Party Package. Avoid meltdowns. Nobody wants crocodile tears on the big day. Make sure the birthday kid gets plenty of rest before the party, eats a full breakfast, and comes to Wheels ready to roll. It’s party time! Call to book your child’s birthday party in Odenton.